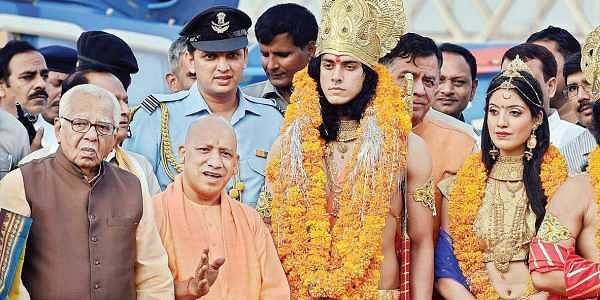 Rashtriya Swayamsevak Sangh chief Mohan Bhagwat yesterday had said that only Ram Temple would be built at the Ram Janmabhoomi in Ayodhya as it was a matter of faith. AYODHYA: Uttar Pradesh Governor Ram Naik said on Saturday that the final decision on Ayodhya dispute would be taken by the Supreme Court only. Yesterday, Rashtriya Swayamsevak Sangh chief Mohan Bhagwat said only Ram Temple would be built at the Ram Janmabhoomi (Lord Ram’s ‘birthplace’) in Ayodhya and that it was "not a populist declaration but a matter of faith". "The Ram temple will be built at the Ram Janmabhoomi and nothing else will be constructed on that land. It will be built using the same stones and under the leadership of people who have been fighting for it for the last 20-25 years," he said while addressing a gathering at the Vishwa Hindu Parishad's (VHP) 'Dharma Sansad' in Karnataka's Udupi town. He said after years of efforts and sacrifice, it (building the Ram temple) seemed possible now, while also noting that the matter was in the court.